The Dark Souls website has unveiled the game's collector's edition, along with an appropriately frustrating puzzle. 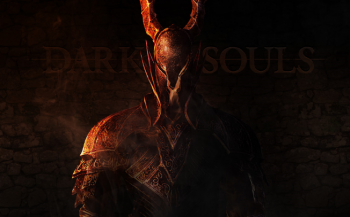 With Demon's Souls spiritual sequel Dark Souls, From Software and Namco Bandai are fully embracing the primary aspect of the series that people seem to go gaga over: its crushing difficulty. A newly unveiled website for Dark Souls is not only perfectly named, but features a puzzle that is already making my mind burn with hatred and sadness. Namco Bandai appropriately set up PrepareToDie.com as the hub for all your Dark Souls needs. The big reveal on the site is for the game's collector's edition, which comes at no extra cost. To acquire the Dark Souls collector's edition's game guide, soundtrack, hardback art book, and behind the scenes video, all you have to do is pre-order the game. I was going to do that anyway. "Boo-yah" has never been more appropriate. But that's not all PrepareToDie.com has to offer. Visitors of the website might notice a glowing glyph upon first glance. Clicking the glyph lights it up, and users must apparently then click on the remaining glyphs on the page in a certain order. Clicking too many times on the wrong glyphs will end the puzzle and force you to try again the next day (unless you know how to clear your cookies). In all my tries I could only get 2 glyphs. Someone else solve it for us, huh? Rumblings around the internet say that solving the glyph puzzle reveals certain messages related to Dark Souls and how it hates you, with love. The latest Dark Souls trailer revealed that the game will be out for the Xbox 360 and PS3 in October.